Join a naturalist at 9 a.m. on select weekdays for hikes of varying length and difficulty. 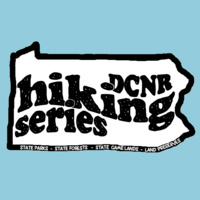 The series will visit trails on our public lands including state parks, state forests, state game lands, and local preserves. Come out to get some exercise, learn about the area’s natural history, and relax in the fresh air. Please call the Nescopeck State Park office (570-403-2006) for more information. MEET: Rockport access, off Lehigh Gorge Dr. Please wear comfortable hiking shoes and bring water. Well behaved and friendly dogs on a leash are welcome. No registration required. Free.